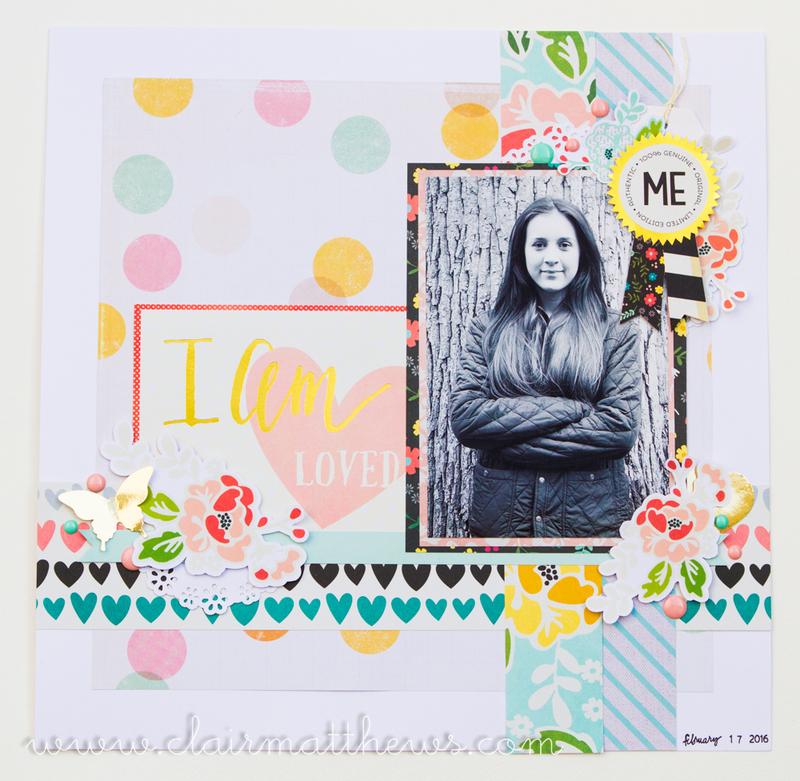 Clair Matthews: 12 x 12 layout..
...Hi guys! 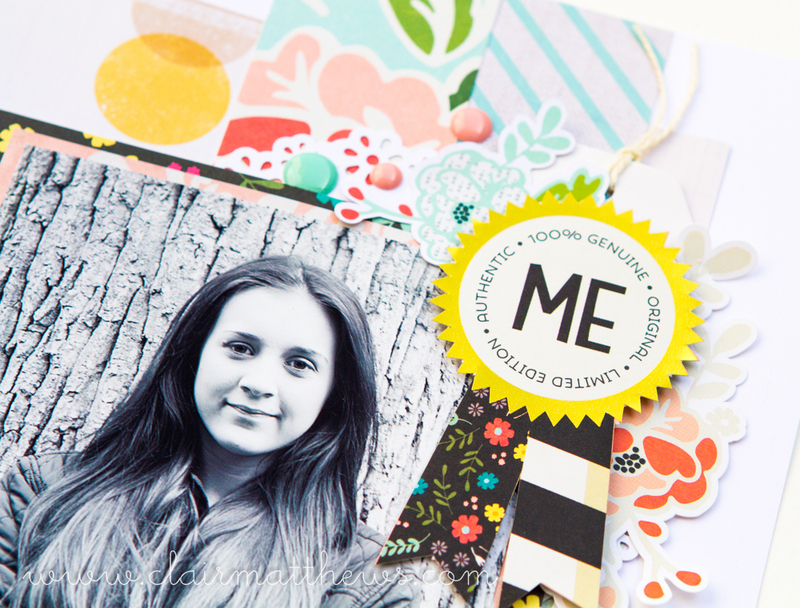 I have another scrapbook layout to share today. I used embellishments & papers from the Simple Stories 'I AM' collection.. 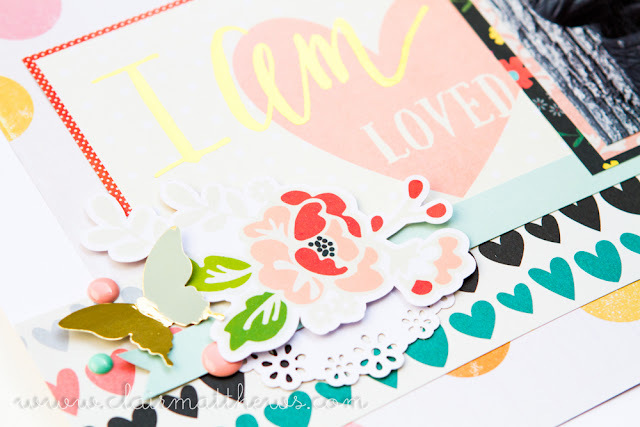 I love this collection so much, I've bought the print & cut file too so I can make more of the flowers when I need them..
are you loving this collection as much as me?